A report to Child Protective Services can wreak havoc on your life. As its name states, the agency is in place to protect children and investigate claims into child abuse and neglect. Most reports are filed in good faith and with the intention of helping a child. However, some people abuse the agency. In many instances, false reports filed with Child Protective Services are malicious. These are attempts by a child’s parent to cause problems for the child’s other parent. What’s Should You Do If Child Protective Services Contacts You about a Report Filed with Them? The first thing you should do is contact an attorney if a report is filed with Child Protective Services about your behavior regarding your child. A lawyer will do everything possible to protect your rights and your child’s rights. Child Protective Services launches an investigation as soon as a report is filed. Even if there is a reason to believe the accusations are false, an investigation is still necessary. The agency must do all it can to ensure children are protected. Even if there is suspicion a report is fraudulent, due diligence is necessary. Children are usually placed in temporary foster care while time Child Protective Services investigates a claim against a parent and will likely remain there until a hearing is held and a judge makes a ruling regarding the safest option. How long a child remains in foster care or an alternative arrangement varies from situation to situation. 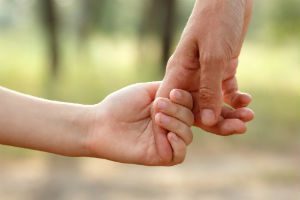 Can I Lose Custody of My Child Based on a False Claim of Abuse or Neglect? Unfortunately, yes, it is possible for a false report of abuse or neglect to affect your custody arrangement. Where a child ultimately ends up is based on the investigation conducted by Child Protective Services and the decision of the Family Court. Even if an investigation concludes there is no evidence of abuse or neglect, the Family Court still has the power to make a ruling of its own regarding custody based on the specific facts of the case. It’s still possible to lose custody of your child even if the claim against you is false. Even a false report can affect your custody arrangement. Contact an attorney the moment you believe a report was made about you and your family. Parents should never “shrug off” claims against them even if they know the claims are false. Working with an experienced attorney is the only way to ensure your rights are guarded and that someone is working on your behalf to protect you and your family. To speak to someone about allegations against you regarding your child or to schedule a consultation to discuss where you stand with Child Protective Services and a false report filed against you, contact Gourvitz & Gourvitz, LLC at (973) 467-3200 or (212) 586-1700.